England Seals The Series: Beat India By 60 Runs In The Fourth Test | India Vs England Test Series England Seals The Series: Beat India By 60 Runs In The Fourth Test: After a huge relief from Indians in the third test against England, they again lost their momentum after they got defeated in the fourth test making England seal the series with 3-1. 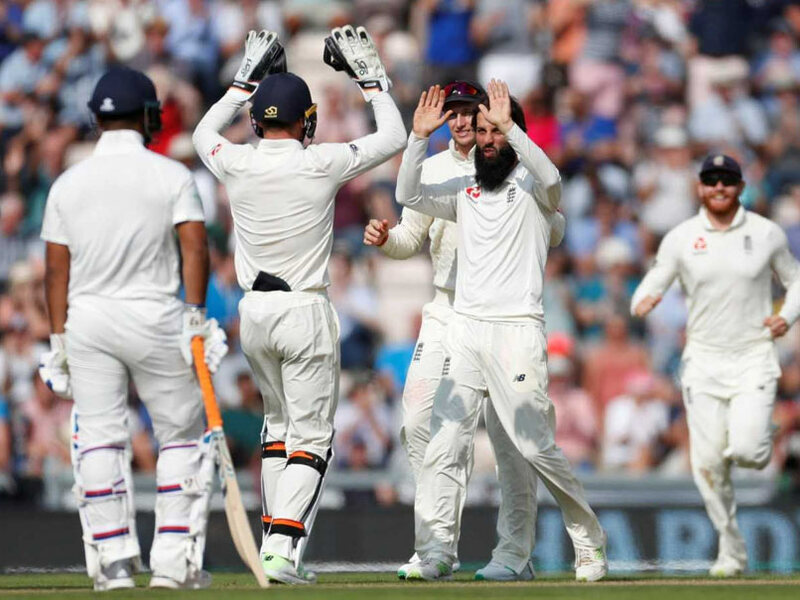 England Seals The Series: Beat India By 60 Runs In The Fourth Test:- After a huge relief from Indians in the third test against England, they again lost their momentum after they got defeated in the fourth test making England seal the series with 3-1. The final test is about to take place before which England grabbed the series. On the fourth day of the fourth test, Indian batsmen tumbled down in chasing the target of 245. With England making 246 in the first innings, Indian batsmen replied with 273 after they managed to get a slight lead of 27 runs. England fell down for 271 in their second innings setting up a target of 245. Indian batsmen failed miserably once again after which England recorded a comfortable 60-run win and the team ended up winning the series. Indians were bowled out for 184 runs on the fourth day. The final test between India and England will take place in Oval from September 7th. Team India haven't chased a target of over 200 runs outside the sub-continent in the past three decades and this remained as a dream once again. From 122/3, India tumbled down to 163/9 soon with no batsmen standing for English pace.